The crowd have settled, the hammer has fallen and the performer moves into the limelight. 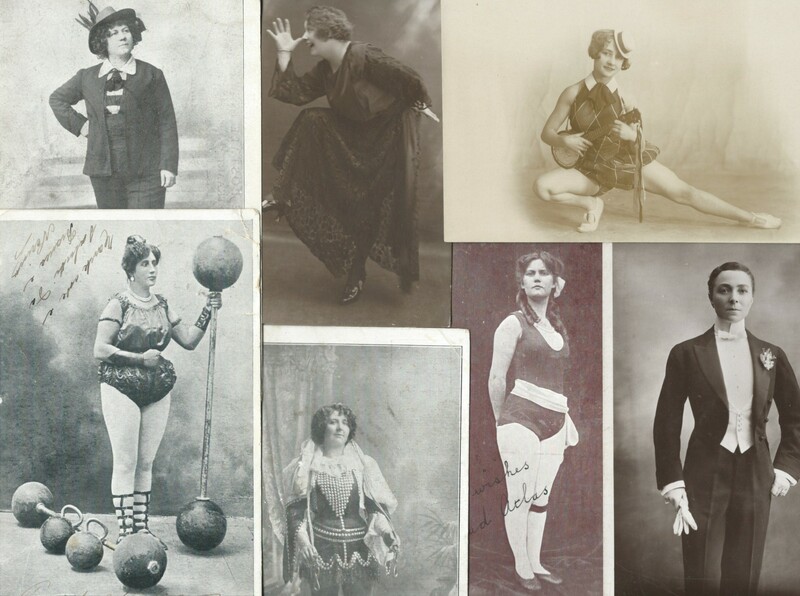 A song, a dance, a novelty act, a wink and a smile transported women from the Music Hall into the lives of their audiences and sometimes into their hearts. Who were these women? How did they live their lives? Let’s visit their world. 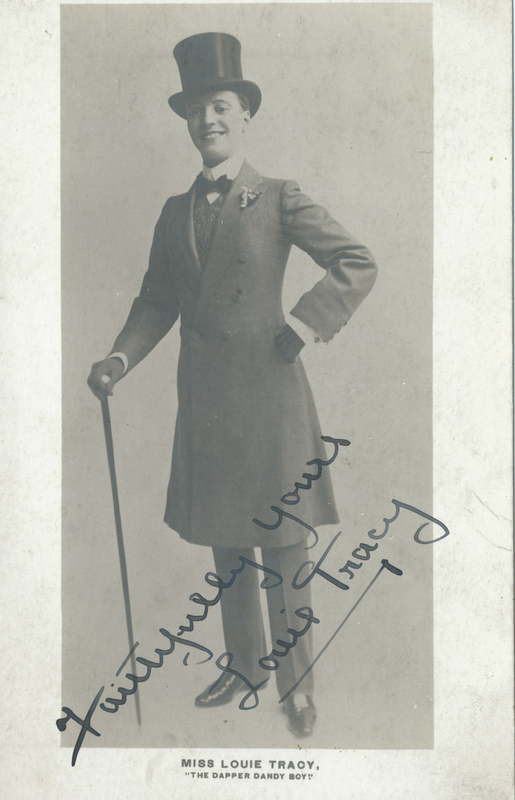 Early male impersonators like Nelly Power, pictured here, wore a man’s hat or jacket with tights. 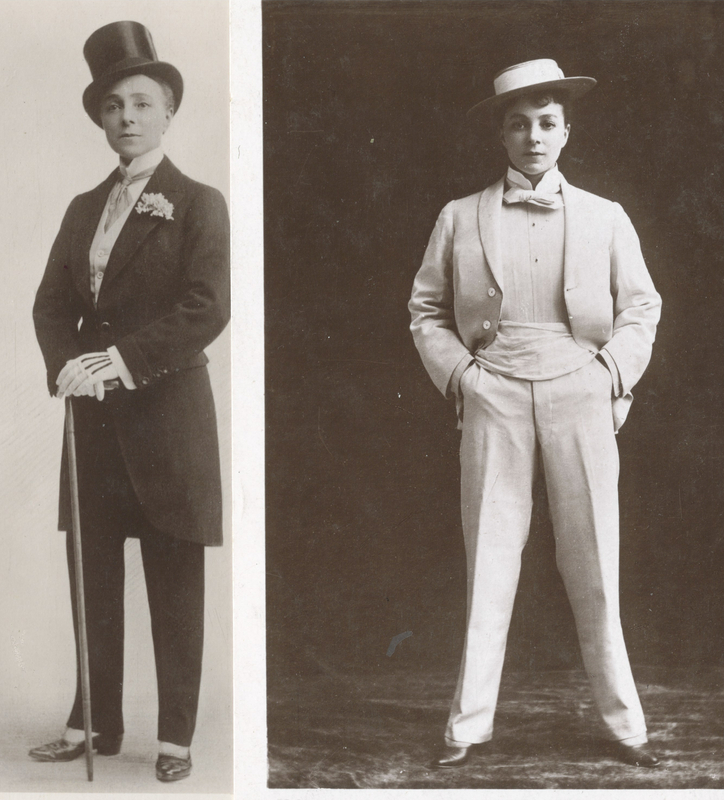 A popular figure on the Music hall stage was the male impersonator. Vesta Tilley was the highest paid music hall performer of her time. She started out aged four in 1868 and retired in 1920 . Louie Tracy, the dapper dandy boy. This entry was posted in Male impersonators and tagged Louie Tracey, Nelly Power, Vesta Tilley on January 15, 2015 by Monomania.